Greed and envy drove Earnest Lee Hargon to commit a heinous crime that would result in the death of 3 innocent people, including a four-year-old boy. 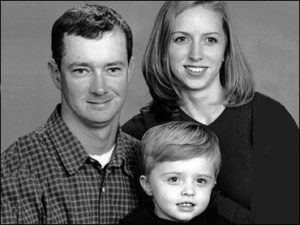 Although the investigation would quickly conclude, the effects of his actions damaged his family beyond repair. I would like to thank the most recent Patreon Supporters: Samantha B, Tanisha Fuller, and one of my very favorite podcasts They Walk Among Us, — -Thank you so MUCH for your generous patronage. I hope you continue enjoying the show! I’ll be announcing a contest soon for listeners to come up with the ending tag line of the show. I think it’s a great way for us to interact and for you to have a piece of what you make possible. The prize will include a $25 amazon gift card and a swag bag filled with merch goodies. Follow us on Facebook, Twitter, and Instagram for the dates. Listen to the VERY end for some important information, you don’t want to miss it!